Gartner forecasts significant growth for the public cloud market. The market for cloud services will grow more than 17 per cent next year and will hit a total of $206.2 billion, according to Gartner. The analyst firm claims that the market will grow 21 per cent this year, as well – from $145.3 billion to $175.8 billion. IaaS, or Infrastructure as a Service, is the fastest-growing segment of the market. Within four years, 90 per cent of organisations buying IaaS will do so from an integrated IaaS and PaaS (platform-as-a-service) provider. BPaaS, or Business Process as a Service, will grow 7.9 per cent and hit $50.3 billion in two years. Buyers expect ‘deep domain expertise, technology and global deployment capabilities, as well as service portfolios that bridge legacy offerings and support new automated, digital and cloud service delivery paradigms’, Gartner claims. "Demand for integrated IaaS and PaaS offerings is driving the next wave of cloud infrastructure adoption," said Sid Nag, research director at Gartner. “We expect that IaaS-only cloud providers will continue to exist in the future, but only as niche players, as organisations will demand offerings with more breadth and depth for their hybrid environments. 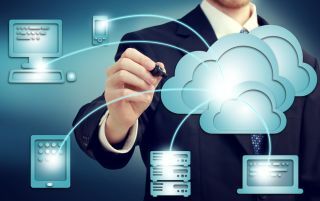 Already, strategic initiatives such as digital transformation projects resulting in the adoption of multicloud and hybrid cloud fuel the growth of the IaaS market."